Get the full colour, full size images to use in presentations. The link to download will appear in your confirmation email upon purchase. 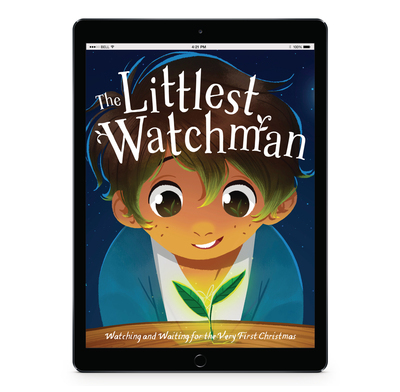 Full size images of the beautiful illustrations in The Littlest Watchman to use on big screens. Together with the hardback story book these images allow you to read the story while showing the pictures on a large screen so that everyone can see them.